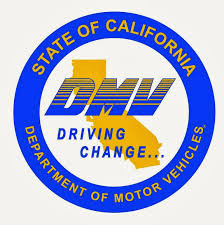 Information on California DMV Offices is provided by State of California Department of Motor Vehicles. DMV Public Offices provide services of Vehicle Registration, Issuance of Driver License, and ID Card Processing. The offices can be located through a regional map available on the website which provides locations of all the offices under State of California Department of Motor Vehicles. These offices are functioning on Monday, Tuesday, Thursday, and Friday between 8am to 5pm, while on Wednesday they are open from 9am to 5pm. The department also has four Driver License Processing Centers (DLPC) that are established exclusively for driver license transactions. These centers are located across the state and are listed on the website as well. The website also provides location details of Commercial Driving Test Offices that are operating under few DMV Offices. Twelve Driver Safety Offices are working throughout the state to provide assistance in administrative hearings and departmental re-examinations that are scheduled for them. The website has a page dedicated to provide their location and working hours. Those applying for Business License are attended at Occupational Licensing Inspector Offices which are located at 19 different locations across the state. Occupational Licensing Inspector Offices is responsible for the safety of the department and public from fraudulent cases through actively detecting, investigating, auditing and providing enforcement services. DMV Service Centers are formed to attend to the customers from industry sector. The customer, applicants, and users of the website are requested to make an appointment via call at 1- 800-777-0133 or online before visiting a DMV Office. The offices now accept ATM/Debit Cards as well to process transactions.